Baker Onofrio Cirrincione, from Italy, has more than 25 years of Italian baking experience. Il Dolce has been in business since November 2001, serving the Hawthorne, New Jersey, area with the finest baked goods and Italian pastries around. If you’re looking for a delicious cake, Il Dolce Pastry Shop can help. We can provide your birthday party or wedding with a beautiful, artistically decorated cake to serve a few or a few hundred. We even design and bake custom cakes. If you can think it, we will build it. We also have pies and holiday baked goods such as pumpkin pies, gingerbread cookies, and butter cookies. 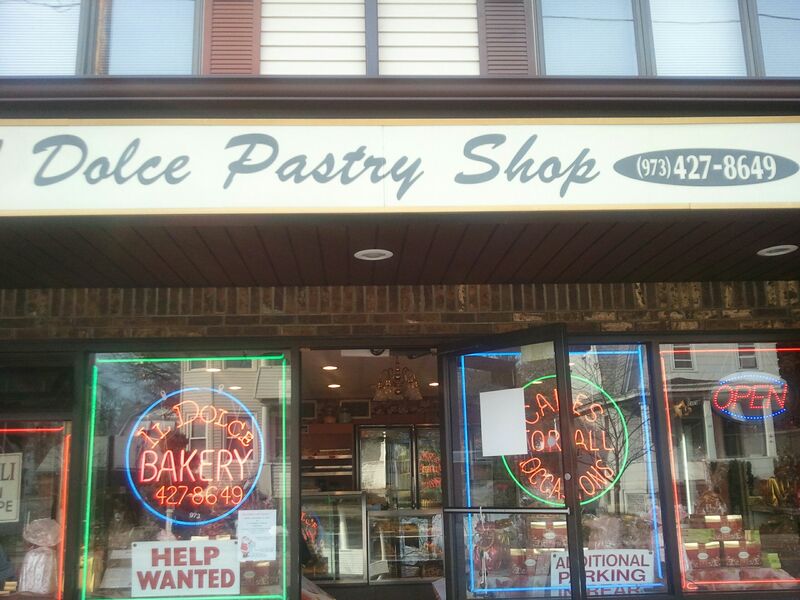 Il Dolce Pastry Shop specializes in Italian baked goods. Try one of our miniature or large Italian pastries or some of our Italian cookies. Take one of our tiramisu cakes or one of our Sicilian cakes•A Cassata Siciliana–to your next party and you can guarantee that you will be invited again! Il Dolce Pastry Shop’s baked goods and pastries are made each day with the freshest ingredients. We are family-owned-and-operated, so our quality customer service, along with our very reasonable prices, will have you coming back for more delicious, elegant pastries. Let Baker Onofrio Cirrincione demonstrate what 25 years of Italian baking experience can do for you!